“I covered the potatoes over today. 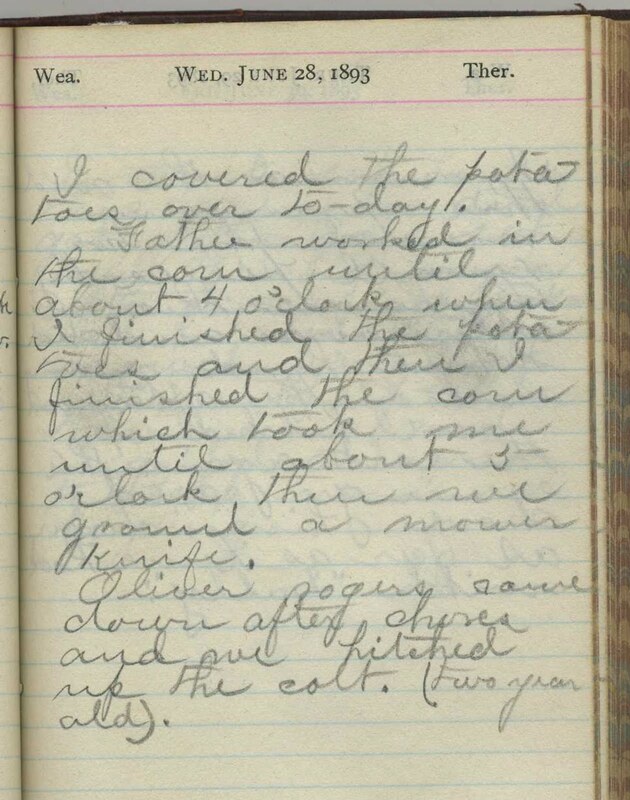 Father worked in the corn until about 4 o’clock when I finished the potatoes and then I finished the corn which took me until about 5 o’clock then we ground a mower knife. Oliver Rogers came down after chores and we hitched up the colt. (two years old).